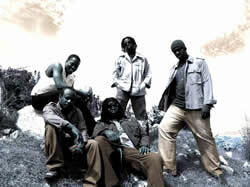 Jamaican band C Sharp will be leaving the island on May 2nd to perform in Nairobi, Kenya. The show in Kenya is the second trip to Africa for the band as they have performed in the West African country of Ghana before. This trip to Kenya marks the first time the band travels to the East of the continent. The show will be held in the capital city of Nairobi and C Sharp will perform alongside fellow Jamaican reggae artiste Turbulance. C Sharp has been promoting their latest single "Don’t Come Searching" with local and international success reaching their fans all over the world.